The wind was out of the South East today. So we decided that we would try fishing the Gulf of Mexico. The water would be calmer and the trolling on the Atlantic side hasn’t been red hot. It was a good decision. and we went in the Gulf of Mexico in the morning. Seas were much calmer than the Atlantic and the fish were biting. In the morning we got one large 26lb King Mackerel and lost another at the boat. We caught about a dozen Spanish mackerel and released about 4 cravalle Jacks. 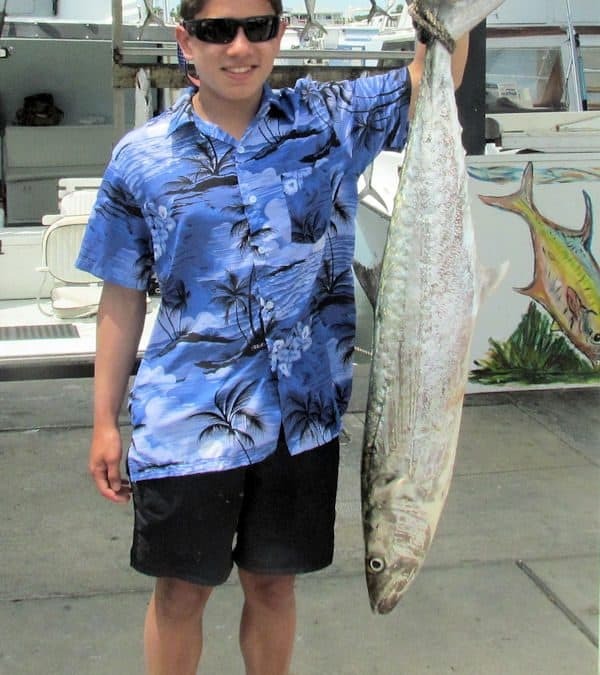 The Spanish Mackerel were not large, but they are good to eat. 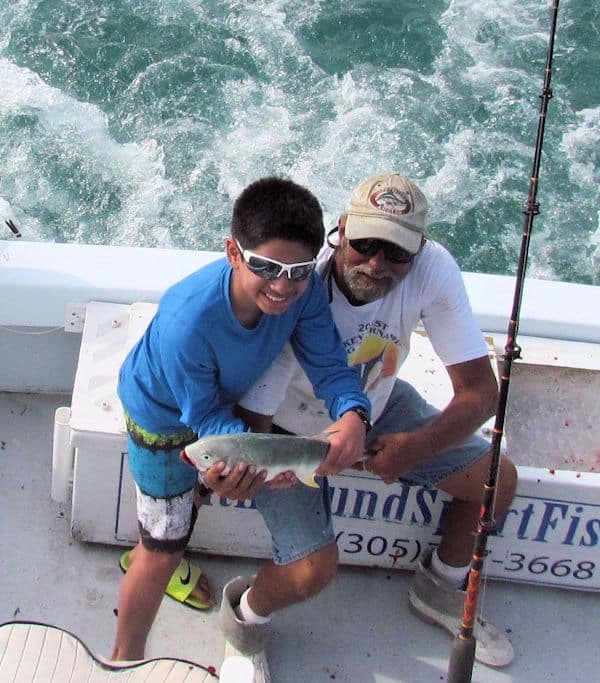 The Cravalle Jacks and King Mackerels took care of the big fish. Both fight very hard and gave the young anglers a good challenge. They handled it well. 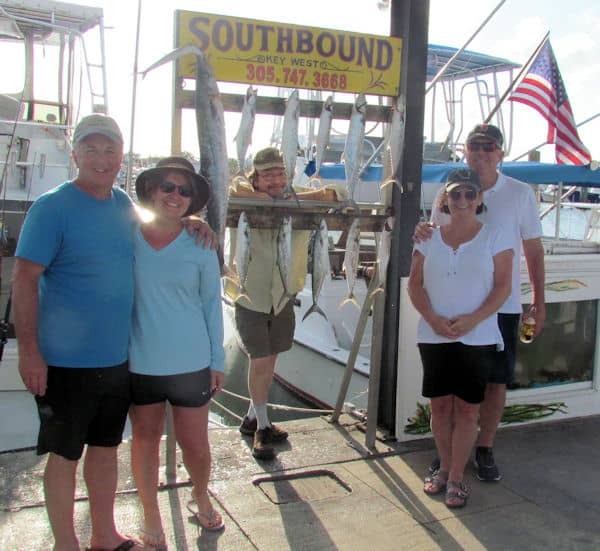 we went fishing in the Gulf of Mexico. The afternoon looked like a repeat of the morning. If you look at the pictures of the catch, it looks like we just rearranged the fish on the rack, but we didn’t. 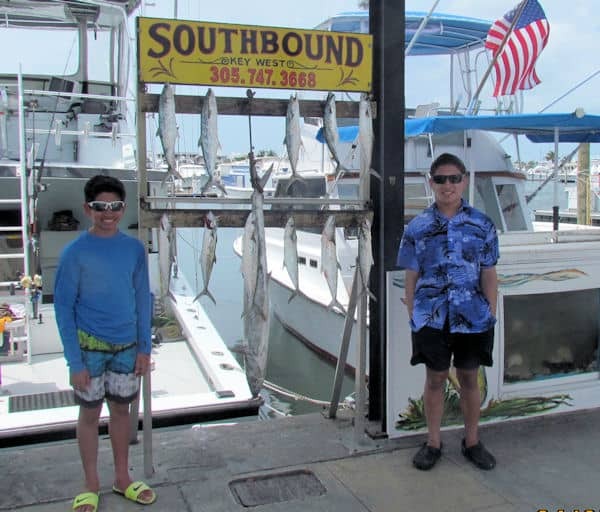 We caught one large King Mackerel, we kept about a dozen Spanish mackerel and released a Cravalle Jack. the Spanish mackerel were biting so fast, we started throwing them back. They were jumping everywhere you looked. They were feeding on schools of Threadfin Herring. I’m betting there were not many of the herring left by sunset. It was a feeding frenzy. about how many very nice, well behaved and polite some of the young anglers we’ve had onboard have been. That trend continued again this morning, (the afternoon group was also very nice, but all the kids were over 40). It’s refreshing to see so many really nice kids and makes me think there may be hope for this world. Maybe one of the reasons I’m getting so many nice kids is because their parents are the type to actually do things with their children instead of buying them a video game.